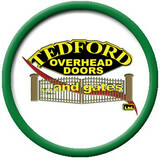 Welcome to Tedford Overhead Doors and Gates, a leader in the garage door industry, servicing beautiful Victoria, British Columbia. We supply Clopay® garage doors, estate and security gates, garage door openers and accessories. As a Master Authorized Dealer, we are recognized as a market leader, both locally and throughout Clopay's dealer network. Dedicated to providing superior levels of professional expertise and responsiveness in sales, installation and service. Tedford Overhead Doors and Gates has been installing and servicing quality garage door systems and estate and security gates on lower Vancouver Island for over 26 years. Our longevity in the industry and commitment to outstanding customer service is sure to leave you completely satisfied with your experience. 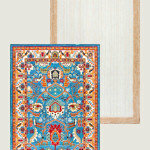 We welcome the opportunity to familiarize you with our wide selection of products and services. Our staff is happy to answer your questions. For residential or commercial garage doors including accessories and openers, we are the one-stop-shop for Vancouver Island around the Comox region. 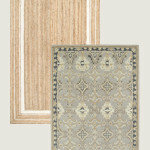 There is a wide range of materials and styles that you can choose from by visiting our website. As a franchisee of the nationally reputed Garage Door Depot, we hold ourselves accountable to the highest quality in products and services. "Burnaby Garage Door Service" is the prominent provider of garage door repair services. They supply authentic garage door spare parts with emergency solutions. Choose the service provider that offers branded products. You may find some reliable providers who offer manufactured garage doors of leading brands like Genie, Chamberlain and more. At our firm, you can grab great deals and attractive offers. Our professionals also provide guidelines so that your doors remain in immaculate condition. Call us (778-724-0673) to know more about our affordable garage door repair packages. Island Overhead Door is the oldest door company on Vancouver Island, B.C. 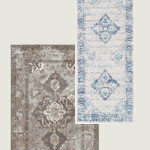 owned and family operated for over 30 years. We specialize in commercial and residential overhead doors, custom gates, security shutters, sliding / rolling grilles, and decorative hardware for overhead doors and gates. Our knowledgeable staff would be happy to discuss your project in detail and give you specific pricing information. Give us a call today or stop by one of our locations for a free estimate! If a customer has never put in a garage door, it will be hard to repair it without an expert. A majority will not understand issues like the size of the garage door opener required to raise and lower certain garage doors. So hiring an expert team who know all of the details on garage door openers is crucial in successfully repairing a great opener. Understand the importance of the garage door opener and only hire a professional technician to work on all garage opener problems. Attempting to fix a broken garage when a customer isn't trained can detrimental to your health. Thrifty Garage Door Repair is the best garage door company in Vancouver and offers full range of garage door service. Our expert garage door technicians provide the highest quality repair and installation services in Vancouver. We are locally owned and operated company offers garage door services including new installations, repairs, automatic garage door opener replacement and repairs and maintenance throughout Vancouver and the surrounding areas. Email us at thriftygaragedoorrepair@gmail.com or call at (604)901-7676 for a quote. Gulliver Garage Doors Vancouver is the leading provider of the garage door solutions in Vancouver. We specialize in garage door repair, replacement, installation and maintenance. 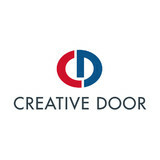 We have been servicing residential and commercial overhead doors for the last many years. Our professionals are fully trained, licensed and insured. 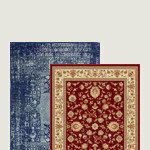 They are committed to serving our customers with high quality services. Whether it is installation, maintenance, broken spring or door repair, our team always ready to take care of your malfunctioning overhead door. Fast Garage Door Repair Vancouver provides a full range of garage door repair services in Vancouver BC. Along with the garage door repair and installation, we also do replacement and repair of other integral parts like Broken Springs Repair (tuning and replacement), Garage door opener (repair or replacement of parts), Garage door rollers (Replacement of worn rollers or hinges), etc. 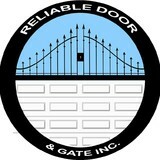 What kind of services do Nanaimo, BC garage door dealers and installers provide? 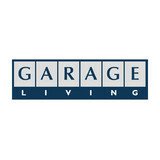 Find garage door sellers and installers in Nanaimo, BC on Houzz. Narrow your search for Nanaimo, BC garage door sellers and installers by selecting the nearest city or zip code. Look at portfolio and product photos, and read reviews to find the best Nanaimo, BC garage door professional for your home.